12 Days Of Holiday Music: Day 5 - "Silent Night"
Jazz and holiday music, a match made in aca-Heaven. Is it really the holiday season if you don't include a cover of "Silent Night?" We're going to say no. 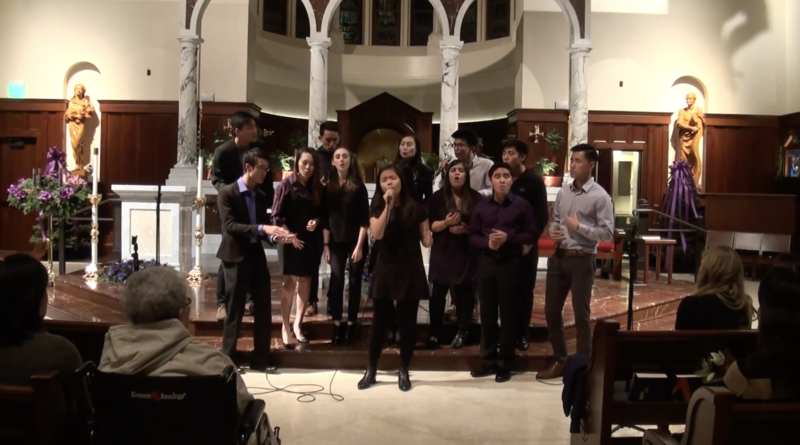 Luckily for everyone, we've stumbled across a gorgeous rendition of the holiday hymn that has us marveling at the talent of this UCLA aca-group. In our next addition to "12 Days of Holiday Music," the coed Christian aca-group, Road to Damascus, has crafted a truly inspiring arrangement of "Silent Night" full of lush chords, captivating soloists and jazz influences that has us questioning, is this really a college group? Yes it is, a really good one. Much of the credit falls with the song's arranger David Li who is a musical wizard at making complexity sound so effortless and easy on the ears. And the the two leads have a vocal quality that's utterly mesmerizing, letting us simply get lost in the music. It's an all-around great video that offers so much to the viewer.